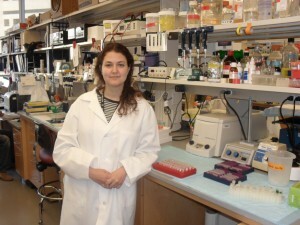 Gina DeNicola, Ph.D., Beth Israel Deaconess, in the laboratory of Lewis Cantley, Ph.D. Lung cancer accounts for the greatest number of cancer-related deaths in the United States due to its high incidence rate and poor response to existing therapy. Alternative strategies such as targeting the altered metabolism of cancer cells may lead to more successful treatment of this disease. It is widely believed that the reactive oxygen by products of cellular metabolism drive cancer progression and promote many tumorcigenic processes; however, Dr. DeNicola has shown that tumor cells actively lower these reactive oxygen species (ROS) to avoid cellular damage and death. 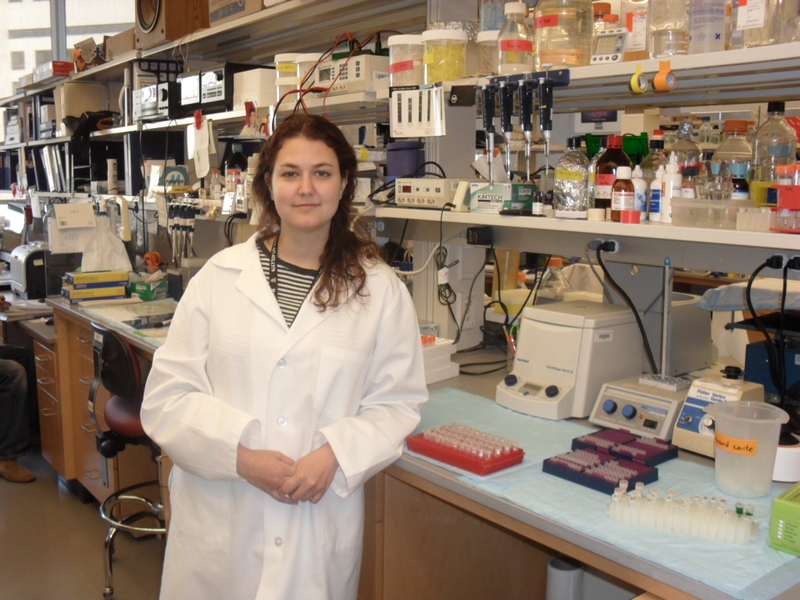 She has now found that a key regulator of mitochondrial ROS is required for the survival of lung tumor cells. Dr. DeNicola’s work will focus on characterizing the function of this protein and understanding its contribution to cancer development in cell culture systems and mouse tumor models. As this ROS regulator is perturbed in the high percentage of human cancer cases, her work may provide a suitable, and so far unappreciated, therapeutic target for the treatment for these patients. 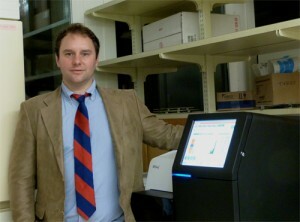 Simon Knott, Ph.D., Cold Spring Harbor Laboratory, in the laboratory of Gregory Hannon, Ph.D. Loss-of-function RNAi screens that target tumorgenic genomic factors are a powerful and commonly drawn weapon in the war on cancer. However, using current tools, these screens often produce less than industrial strength results. Dr. Knott’s research is aimed at improving the quality and robustness of these tools, thus he does not focus on a specific cancer per se. With that said, the model Dr. Knott has chosen to develop these tools in is Pancreatic Cancer. RNAi screens, as they pertain to cancer research, are driven by the premise that oncogenic changes alter the dependencies of cells, making them vulnerable to the loss of driving oncogenes and to addictions that the transformed state creates. There are cases where this paradigm has proven successful, like Gleevec, Tarceva and B-RAF inhibitors. However, there are inevitably patients who fail to respond or, more commonly and perhaps predominately, initially respond but later acquire resistance to single-target therapies. The reasons for initial and outright resistance are several-fold. Chief among them is heterogeny in cancer cell populations due to additional mutations acquired between the time of the initial driver mutation and the time of treatment. For example, the chronic myeloid leukemia drug Gleevec, which targets the tyrosine kinase enzyme ABL, is rendered ineffective in patients with additional mutations in the BCR-ABL enzyme. The mechanisms behind delayed and/or acquired resistance appear to be more complex. Cellular pathways are dense, highly connected and adaptable. Following the exposure of cancer cells to a targeted therapy, the pathways involved is typically up- or down-regulated as anticipated. However, having rapid rate of proliferation and anti-apoptotic tendencies, these cells can overcome this initial therapeutic onslaught by taking advantage of pathway plasticity. Up- or down-regulating parallel or related pathways, tumor cells are able to compensate for the loss of targeted gene/pathway. To overcome the shortfalls of single-target therapeutics, it is necessary to turn towards combinatorial agents targeting critical notes of multiple pathways. Dr. Knott’s research is building methods to identify high efficacy multi-targeted therapeutics. 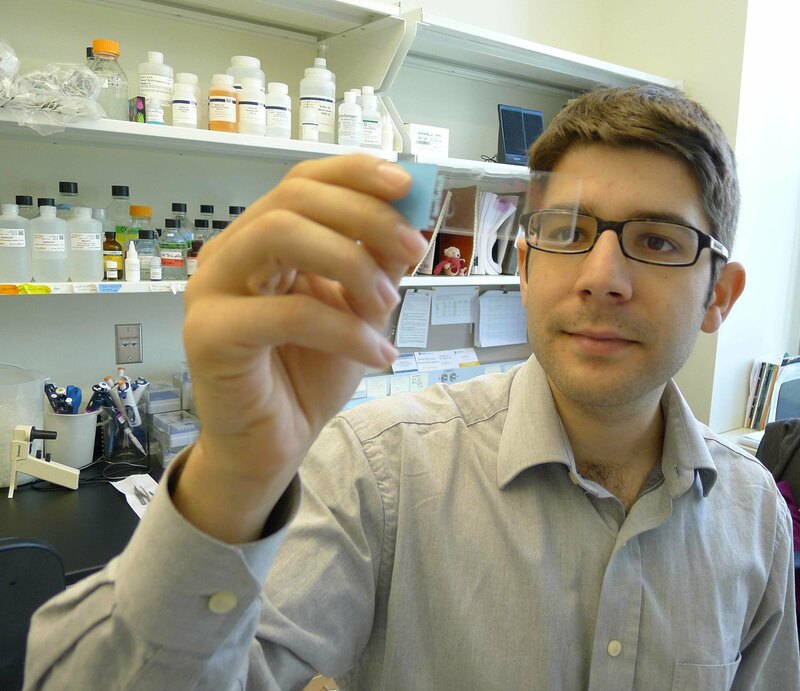 Thales Papagiannakopoulos, Ph.D., at the David H. Koch Institute for Integrative Cancer Research at MIT, in the laboratory of Tyler Jacks, Ph.D. Dr. Papagiannakopoulos’ research focuses on lung cancer, which is the leading cause of deaths worldwide. The Jacks laboratory has established an autochthonous mouse model of human lung adenoma and adenocarcinoma. In these genetically engineered mice, lung tumors are induced in by activation of oncogenic mutant KrasG12D and deletion of tumor suppressor p53, two genetic lesions that commonly occur in human lung cancer. These mouse model tumors mimic human lung adenocarcinoma tumors in their progression showing similarities both at the molecular and histological level. Using this well-defined lung cancer mouse model Dr. Papagiannakopoulos will determine whether circadian rhythm disruption contributes to lung tumor initiation and progression. Circadian Rhythms are highly conserved daily oscillations that align physiological functions with the day/night cycles. Disruption of circadian rhythms is a major consequence of a modern lifestyle. Loss of circadian clock synchrony is associated with the range of diseases, including cancer. Epidemiological studies have revealed that the risk for many types of cancer is significantly higher in industrialized societies, particularly among shift-workers. In 2010, the World Health Organization and the International Agency for Research on Cancer published an assessment on carcinogenicity of shift-work, which concluded: “shift-work that involves circadian disruption is probably carcinogenic to humans.” This raises many concerns, since the United States alone, it is estimated that 20% of the work force is subjected to shifting work schedules. Dr. Papagiannakopoulos’ studies aim to uncover the functional importance and provide molecular insight into circadian rhythm disruption in lung tumor initiation and progression.